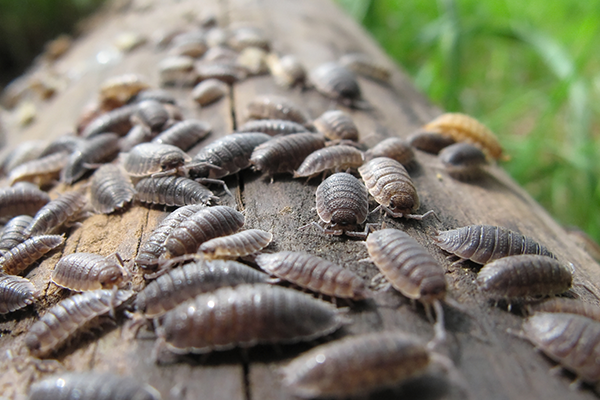 While a single woodlouse may not cause too much concern, an infestation of woodlice can be an overwhelming problem. Woodlice may not be harmful to a person's health, but they can cause damage to a person's house. There are various methods available to get rid of the pest, some natural remedies and others that use commercial chemicals and can kill them. It is possible to use over-the-counter kits and clear the infestation yourself, but using pest control professionals tends to be the recommended removal option. 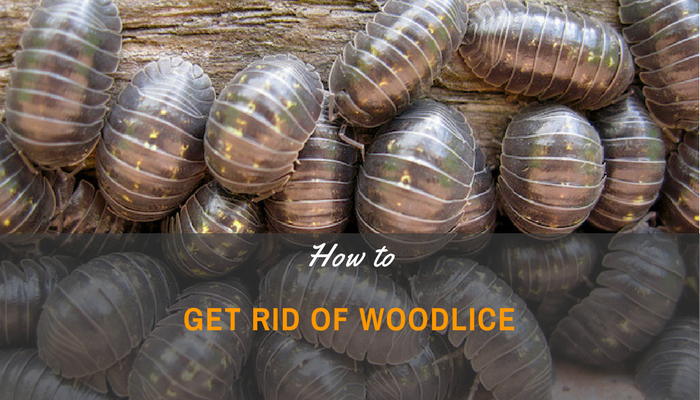 This article will provide information on how to get rid of woodlice effectively. A woodlouse is a small pest that belongs to the class of arthropods known as crustaceans. When one thinks of a crustacean, a person will typically think of lobsters or crabs; but the woodlouse belongs in this group of animals as well. The difference between crabs and woodlice is that woodlice no longer live in the ocean. Oddly enough, despite living in damp wood areas, the woodlouse's skin is not fully waterproof. A person would think that this would make the skin completely dry; however, this is not the case either. Unlike ticks, woodlice are crustaceans and the majority of their species will only survive if their bodies have a film of water covering the skin. If, however, placed in water, the woodlouse will instantly drown. With a need to remain in damp areas, the woodlouse can be found living in decaying matter making dead leaves in a garden the ideal home for woodlice. Many gardeners will destroy woodlice when finding them by squashing the bug, but this is not necessary and they certainly do not deserve it as they do not cause harm. In fact, many woodlice species have been considered beneficial with medicinal value. In previous centuries, people would swallow woodlouse that were curled into balls whole as a means of treating digestive conditions. It should also be noted that woodlice can help with decomposition in gardens. A woodlouse can play a pivotal role in the soil ecosystem as its body is a strong source of calcium; therefore, it can assist as a decomposer in the nitrogen cycle. Woodlice will typically cause superficial damage to wooden furnishings in a person's home. It is common for a woodlouse to enter homes during the winter months or early spring when seeking protection from the cold; however, woodlice can also infest a home by accident because they seek damp areas and dehydrate in warm environments. This is why woodlice infestations are found in humid areas of the property, such as basements, bathrooms, below kitchen units, in wall crevices, and along roof voids. What Are The Different Methods Of Removing Woodlice? One of the simplest and most natural techniques to remove woodlice from a home is by brushing the insect into a dust pan, gathering it up, and then disposing of the woodlice outside. You could also consider using a vacuum cleaner and emptying the contents outside in the garden or into a garbage bin. When using a natural method to remove woodlice, it is important that you do not crush the pest on carpets or floors as this animal can easily leave behind a stain. While it is simple to physically remove the majority of a woodlice infestation, it is recommended that you conduct a preventative measure to ensure the house does not offer them a damp environment for future infestations. You will need to maintain dry conditions both inside and outside the house, and to do this you can use different substances like salt. Pouring salt barriers across doorways can cause the woodlice to dehydrate when entering the home, resulting in their death. Another natural method to remove woodlice is to bait the pest before discarding them outdoors. Traps can be made from small parcels of cut strawberries, potato, grated cheese, and orange peels wrapped in newspaper. The food parcels must be placed in moist areas and this will attract the insect. Once the woodlice have entered the parcel, you can pick it up and discard it. If you have the option of using a natural predator to remove woodlice, it is recommended that you opt for the spider - the dysdera crocata. This spider is highly beneficial when protecting the garden and outdoor porch area ensuring that woodlice find the setting 'inhospitable'. While many people prefer to use natural remedies to deal with pest infestations, others choose chemical techniques finding these more effective. Commercial chemical products can also be used on woodlice infestations with great effectiveness and are available in both sprays and dusts. Sprays are easier to use and work more quickly; whereas the chemical dust is only beneficial if the woodlice crawl through it. Other types of chemical methods include the use of foggers and fumers. The foggers and fumers are useful when woodlice cluster in difficult to reach areas, such as wall crevices or roof voids. These products can remove an infestation quickly with the 'mist' from a fogger infiltrating all the spaces where woodlice are likely to reside. Despite the effectiveness of all chemical products, it is important to note that commercial chemicals are more hazardous than natural remedies. Sprays are less risky to use if there are children or pets in the home, but they continue to present with toxic ingredients similar to all other chemical removal methods. Non-toxic chemical products are available and you should check the ingredients of the product before making a purchase. As can be seen, the woodlice are a non-dangerous insect that can be both beneficial to one's garden and dangerous to one's home. Using the information above, you can determine which type of removal method is most suitable for your particular woodlice infestation needs. It is recommended, however, that you should use a preventative measure in addition to the removal method to ensure that the woodlice do not reappear.